Success again for our all-round performance stallion, Glenormiston Fibber McGee. 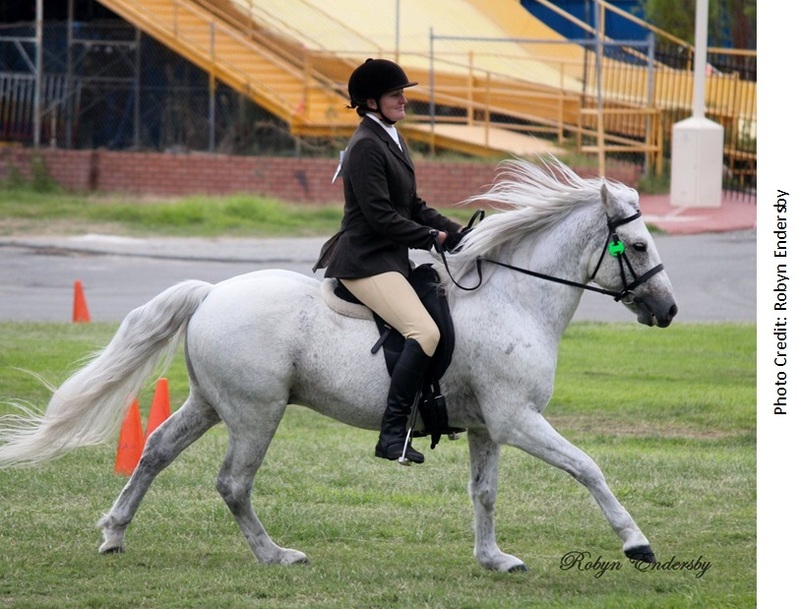 Our foundation stallion, Glenormiston Fibber McGee, has once again demonstrated his versatility with success on the Performance Day of the 2014 WA APSB Stud Show. He did a fantastic job for Emily in her senior handler class against some tough competition and was sashed 3rd (see led photos below), however the judge did comment that Emily would have been placed higher up if she hadn’t forgotten to wear her hat! 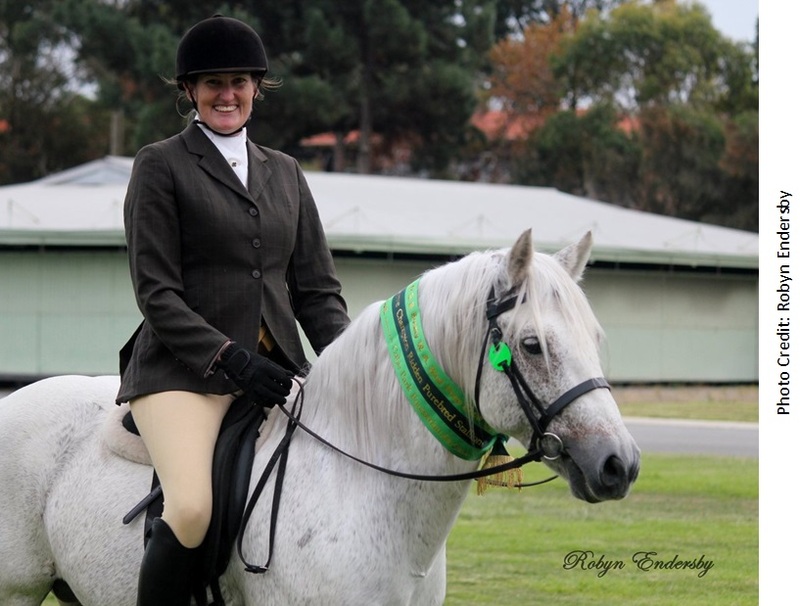 The biggest excitement came in the Ridden Stallion classes, with Fibber and Emily winning the Ridden Purebred Stallion over 12.2h class in very, very strong company and then went on to be sashed Reserve Champion Ridden Purebred Stallion of the Show! A wonderful result and Fibber won a bale of hay for his troubles as a prize! The Handy Pony course at this year’s show was one of the best ones to date, with a number of interesting, different and on occasions difficult tasks to be done, and Fibber came 4th in the Senior Rider class out of quite a big field! One such task was scooping up a cup of horse pellets whilst mounted, then pouring the pellets out into a bucket on the other side of the course, and then returning the cup back to tub. 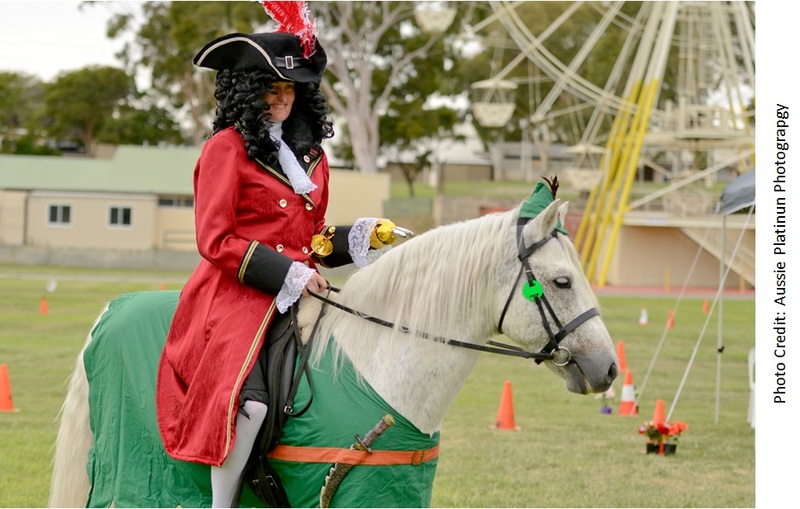 Much to the amusement of the onlookers, Fibber had marks taken off TWICE as apparently this task is meant to be done without the pony’s ‘help’, and Fibber not only had a mouthful as the cup was filled up, but he followed that up with another mouthful as the cup was being returned! By the time the Show Hunter classes were on, Fibber was getting a bit tired but still managed to place 4th in the Open class, with a very animated hand gallop! 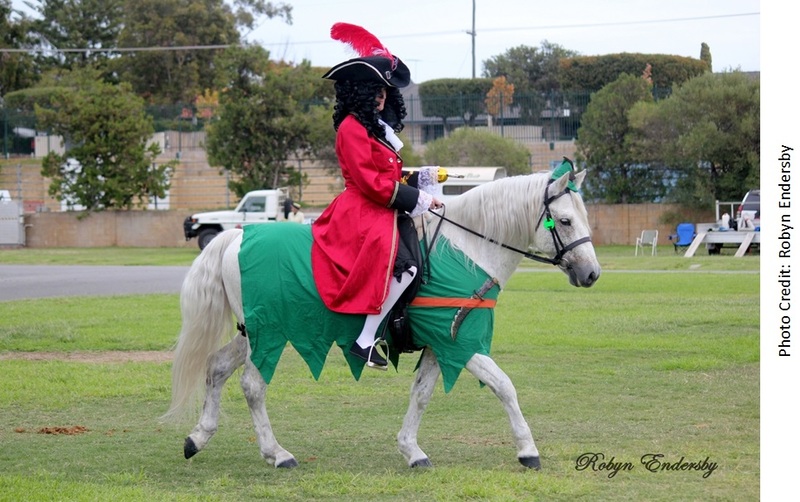 He also won the Ridden Connemara Pony stallion class in the Ridden Native Pony Championships qualifier, so has qualified for the 2014 final held at the end of the year. And in the most important news, Fibber and Emily followed up their Senior Fancy Dress win last year as Little Bo Peep and her sheep with another win in the same class this year as Captain Hook and Peter Pan!